We are committed to creating beautiful, confident smiles. Our modern, fully digital office provides the optimum atmosphere for treatment. We are a Platinum Provider of Invisalign®. Healthy teeth can be moved at any age. 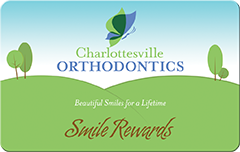 For excellent orthodontics in Charlottesville, you’ve come to the right place! With three convenient locations, Dr. Barton Weis and Dr. Taylor Varner of Charlottesville Orthodontics provide comprehensive orthodontic care to patients in Charlottesville, Zion Crossroads, Hollymead, and the surrounding areas. No matter your orthodontic needs, our highly-trained and certified team members are dedicated to giving you attentive and individualized care for the best orthodontic results and a beautiful smile that you deserve. At Charlottesville Orthodontics, we believe that everyone deserves to have a smile to be proud of and that’s why we offer orthodontic treatment for patients of all ages. Whether your child is a candidate for early orthodontic treatment or as an adult, you’re ready to begin straightening your teeth, we offer a wide range of orthodontic solutions and we are ready to evaluate which treatment option best addresses your orthodontic needs and fits your lifestyle. Because we are dedicated to providing our Charlottesville and Zion Crossroads patients with the best orthodontic treatment, we aim to stay informed about the latest advancements in orthodontic technology. In doing so, we feature a comprehensive set of orthodontic options, from traditional systems and time-proven methods, like metal braces, to revolutionary and cutting-edge technology, like Invisalign, clear braces, and impression-free digital scans. 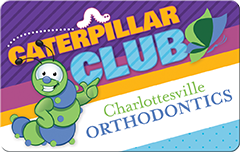 If you’re ready to start orthodontic treatment with the best orthodontists in Charlottesville, contact us or use our online form to schedule your complimentary orthodontic consultation at our Charlottesville or Zion Crossroads offices. Our staff would be happy to answer any questions you may have about our practice and our orthodontic treatment options. All of us at Charlottesville Orthodontics look forward to helping you achieve a smile you can be proud of! Voted #1 Orthodontist by Charlottesville Family Magazine from 2009 through 2018!